A Head chef has been mentoring a Pool Academy student preparing for the next round of a top competition. 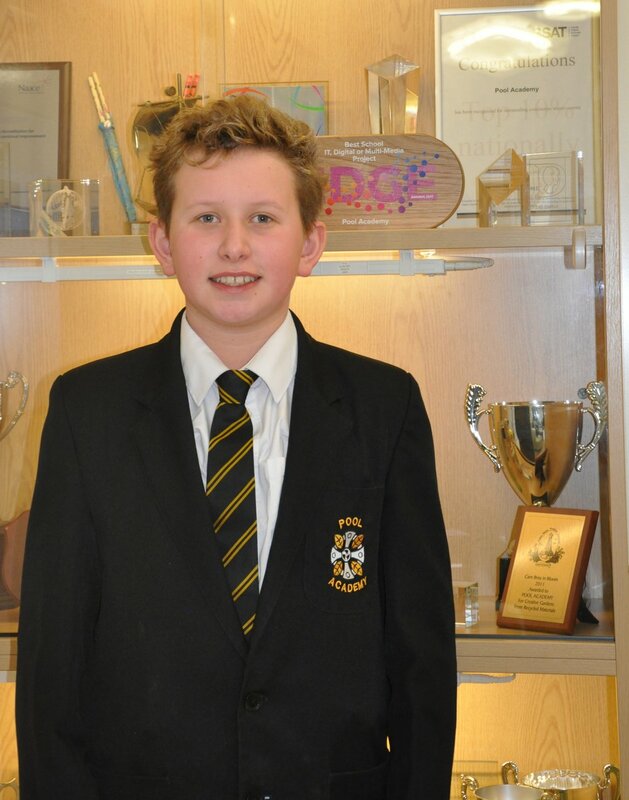 Max, Year 10, was selected to take part in the regional finals of the Springboard’s FutureChef’s Chef of the Year 2018 competition at Rick Stein’s Cookery School. Judge Paul Stephens, Head Chef at Mullion Cove Hotel, was impressed with Max’s efforts and offered to mentor the student. Max said: “When I was taking part in the competition he was the judge. He told my teacher he wanted to mentor me. “I met Paul Stephens at the hotel and we discussed my menu. He showed me tips on how to make it and on presentation. “One tip he gave me was not to worry about the timings. Max said cooking in the hotel kitchen was an experience as, apart from cooking at Cornwall College, it was the first time he had worked in a big professional kitchen. He planned to cook a two course menu of scallops and strawberry cheesecake tower. The first heats of the competition took place at Pool Academy on October 18 and 19. The second heat was held in November at Cornwall College. Stage three saw regional finalists cooking a two course meal for two. The finals will be hosted by Westminster Kingsway College, in London, judged by industry and celebrity chefs. During the finals people will be asked to cook three portions each of a two course meal including a hot main course and a hot or cold dessert.